Need some motivation to lace up and run? 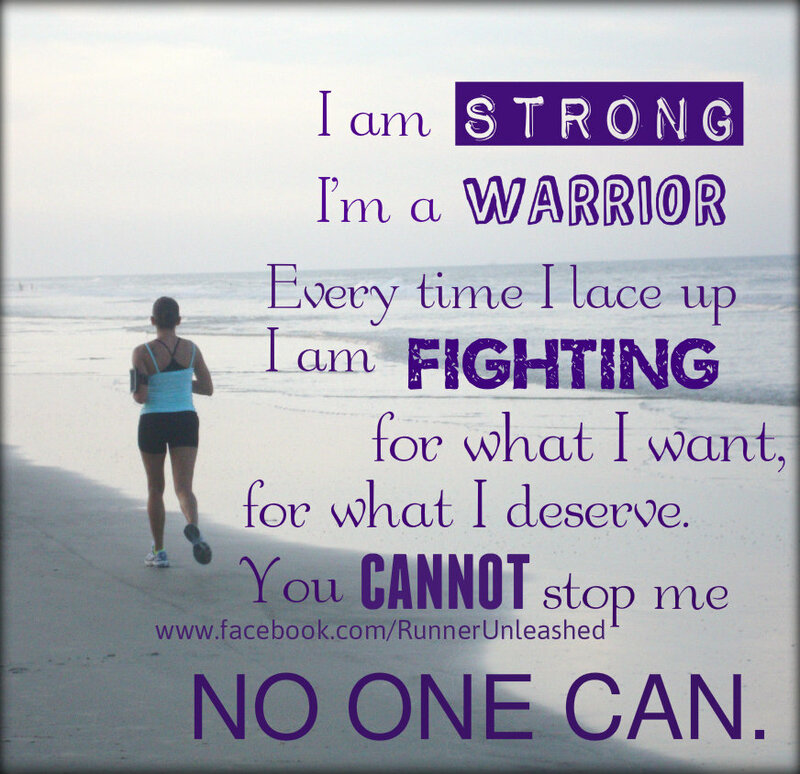 Sometimes runners everywhere need some motivation to keep going. Even on days when you feel weak, tired, or even feel like giving up, I am here to help! I created Runner Unleashed to help you all with injuries, and motivate you to chase your dreams. 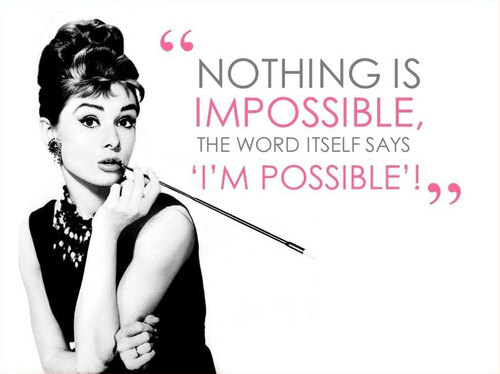 Nothing is IMPOSSIBLE! Do you know the physical challenges I go through every day? Do you know that its difficult for me to brush my hair without having pain? Sometimes when it’s flared up, just sitting is enough to be uncomfortable. I’ve spent lots of time in hospital beds, physical therapy offices, and on the operating table. 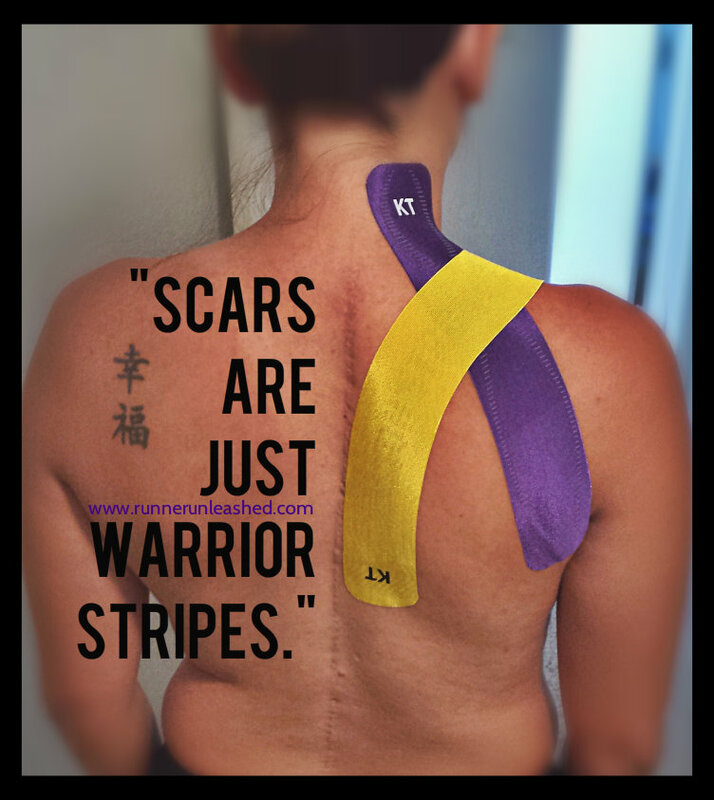 Mistakes, accidents, and trauma have left me with chronic back pain and chronic headaches from my Scoliosis. My spine is still very curved, as you can see in the photo, my left side sticks out, and I have a little dimple of space in the bottom. My right shoulder is a lot lower and makes many normal positions such as standing uncomfortable. On top of it, I have severe muscles damage, since to get to my spine they had to cut through the muscles. I actually have no feeling in my right shoulder =( It’s very painful and it’s always present and swollen as shown. How do I handle it? And what do I do about it? Those are the most common questions I get. My answer…..I RUN! There are many things out of my control that I can’t fix, one thing that makes me feel good is when I run. I do it under MY control, as fast as I want to and as long as I desire. Even if I can just run 2 miles its enough to make me feel accomplished. Coming from only running a few meters at first to now having completed my first full marathon, I’d say I’ve come pretty far. 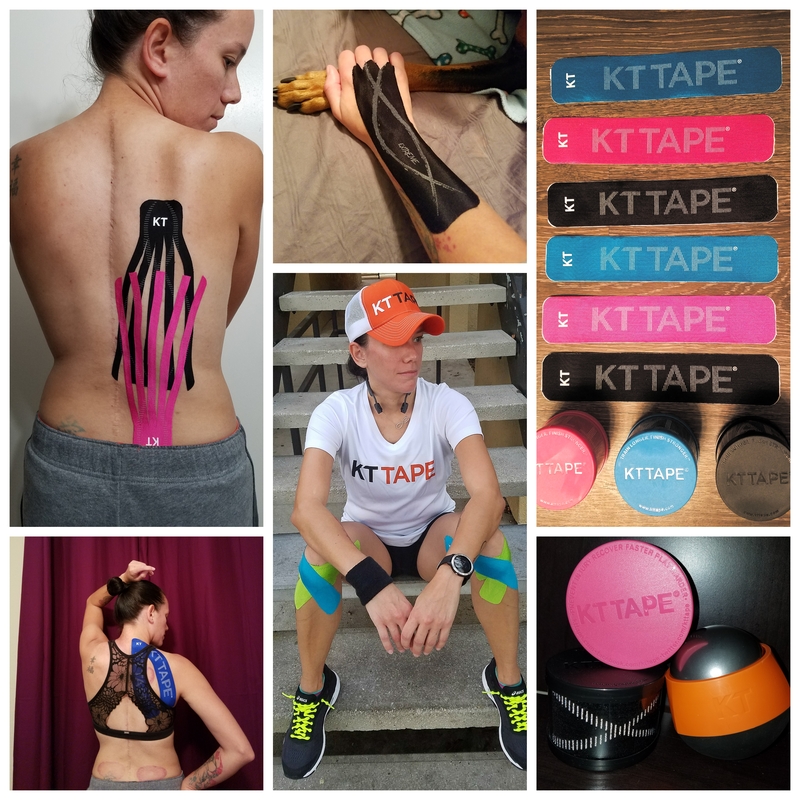 KT Tape has saved me a lot of pain and trips to the ER. I use it for all my chronic muscles pains and makes a HUGE different. I stretch daily and keep myself moving as it helps me. I have run many 5Ks and I enjoy doing them for fun. I have also done a few half marathons and one full marathon. The half marathon is probably my favorite distance to run but the full marathon definitely tested my level of strength and I plan to do it again. =) Actually signed up for the Goofy race and a Half Challenge for January, 2015 (39.3 miles) I have 2 half marathons lined near the end of this year and I plan to beat my previous time. I run races for the thrill of being a part of an elite community that made me feel like I don’t belong. I don’t run races to win, I don’t run races to place, I run races to prove to myself that I DO belong in the running community. With my best friend, one of my BIGGEST supporters and the one who will NEVER stop believing in my strengths! After completing my first full marathon. I am a fighter. I deal with a lot on a daily base but I fight through it. I have my bad days, but most of the time I deal with it with a smile on my face. Life is too short to live unhappy and using pain as an excuse. I am using what I have left to make my dreams come true. By doing so, many of my dreams have turned into reality. I am so grateful to have shared my most triumphant with those who support me. 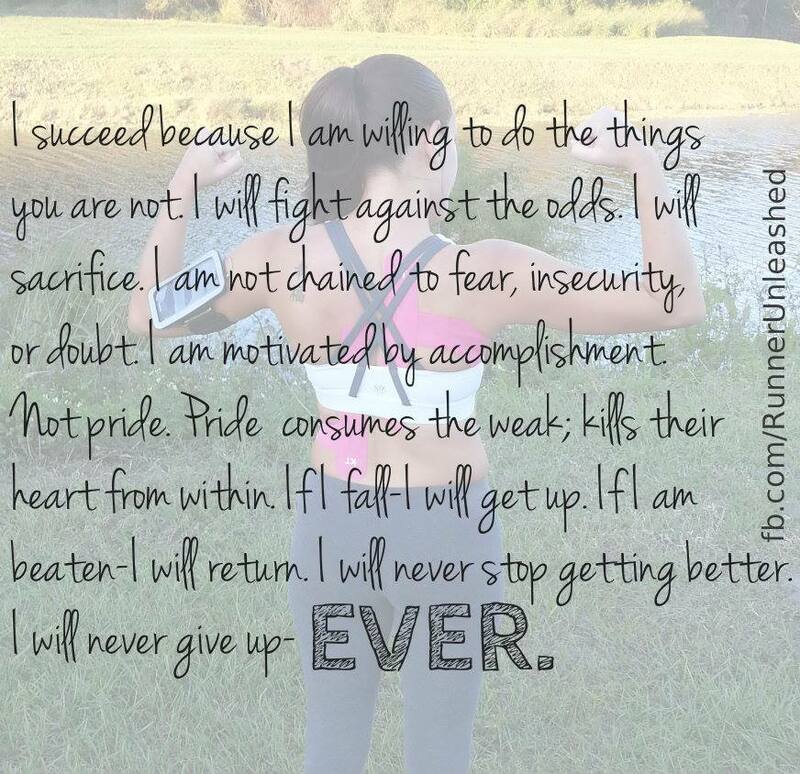 I am a Scoliosis warrior and I will fight til the end! Don’t live your life wishing for things to happen, make them happen! The beginning is always the hardest part of the journey. Having enough faith, belief, and desire to reach your goal is enough get you there. Don’t give excuses, if I can get up and do it, so can YOU! This is a great post! Really inspiring. Thank your for sharing your story. You are amazing! Boy am I glad I found your blog!! You are such an inspiration. Thank you. Good girl, keep up the good work..
What a great and inspriational post! 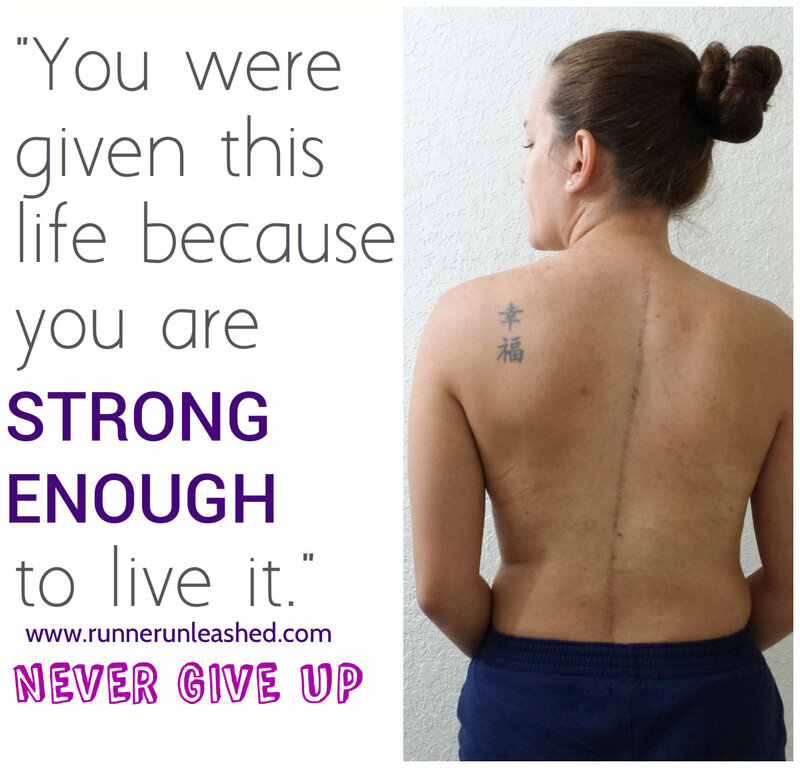 I just came upon your post from doing a search on running with scoliosis. I have scoliosis, though never had the surgery. I just turned 51 and I’m training for my first half-marathon as part of Team Challenge to find a cure for Crohn’s & Colitis. My right lower back/hip area has been causing me more pain than usual. It always hurts, but today, it seemed to bother me more. I really appreciate your post and you’re an inspiration for me. I’ve bookmarked your blog as I will be returning to it often. Thank you for your can-do spirit and desire to never give up! Make sure you do core strengthening exercise to keep your back and body strong! I am 41 years old. For the past 5 years had deribel pain on my arm and chest bone. Today after leaving for 5 day on painkillers went again to doctor. 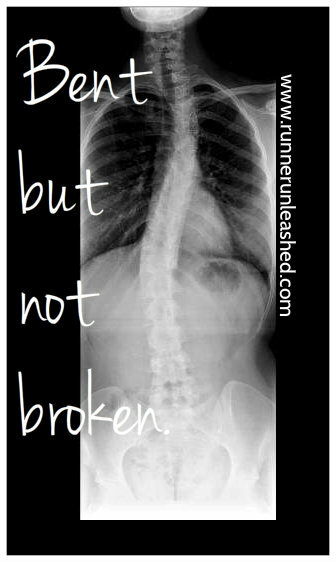 Scoliosis was the name of my pain. Waiting to see a specialist . I am very active, love gym and my zumba class. Have underactivethyroid and polisistic ovary syndrom for the past 15years. Got very fat now I am loosing it healthy. Lost 15kg in 7month. Love to run . Your page is what I needed to read. Today I got so sad just eat and eat. Now I feel sick. I am a single mum . My daugher doing her GSSC don’t want her to see me in pain. Thank you. Tomorrow will run. Not zumba the dance moves hearting my colar bone but a light run. 5 July 5km for cancer reasearch. I consider myself a plain Jane because I have no real trauma that I’ve had to overcome. Nevertheless, I seek inspiration to keep me going, and you provide that in a very touching way. As for me, I’m a mother, a runner, also living in Florida (and loving all things Disney – in fact, the Goofy Challenge 2014 was my first ever 1/2 marathon AND full marathon, I’m doing Dopey in 2015!) and I’m a girl who just doesn’t give up. I love motivational blogs like yours. Thank you for writing them!! And please keep them coming!! : ) Happy Mother’s Day!! Thanks for the inspiration! I just started running and have been struggling to find the right stride so I can breathe as my right shoulder sticks out and compresses my lung. Each time I am able to run a quarter mile longer it feels like a major accomplishment! That is awesome and each step is a major accomplishment! Previous Previous post: A few things runners should stop doing!